Hiking from Jiri to Everest Base Camp has been the greatest physical challenge I have ever done in my life. Walking for 8 hours a day and ascending over 1300 meters while carrying a 10kg backpack certainly wasn’t easy. But… walking this trail has also been one of the most amazing things I have ever done! 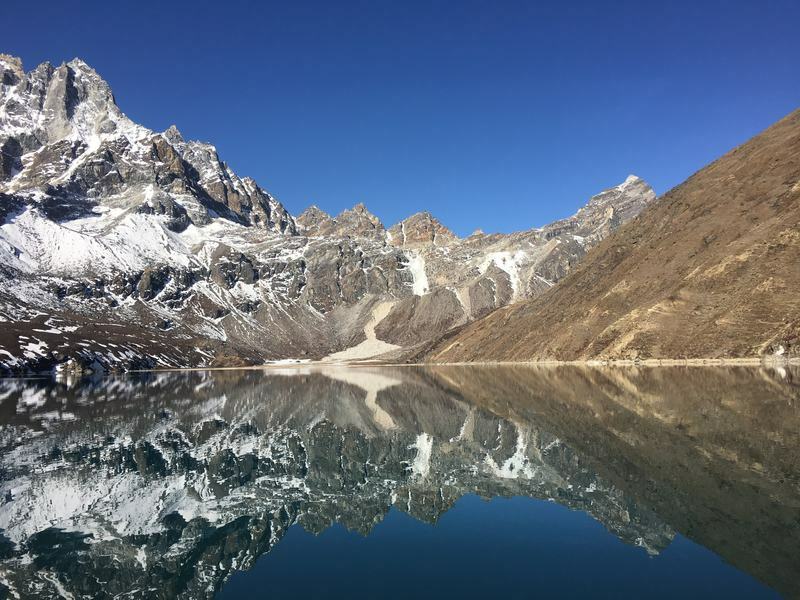 Trekking through the beautiful Himalayas for 3 weeks is something I will never forget… The views, the silence, the blue skies, the colorful prayer flags, the massive glaciers and the most impressive mountains in the world, it’s a unique experience for sure. Also read: 17 things to do in Nepal that aren’t trekking. I always keep track of our expenses and write a post about our daily travel budget for every country we travel. The good news is: hiking the amazing Everest Base Camp (EBC) trek is very affordable! 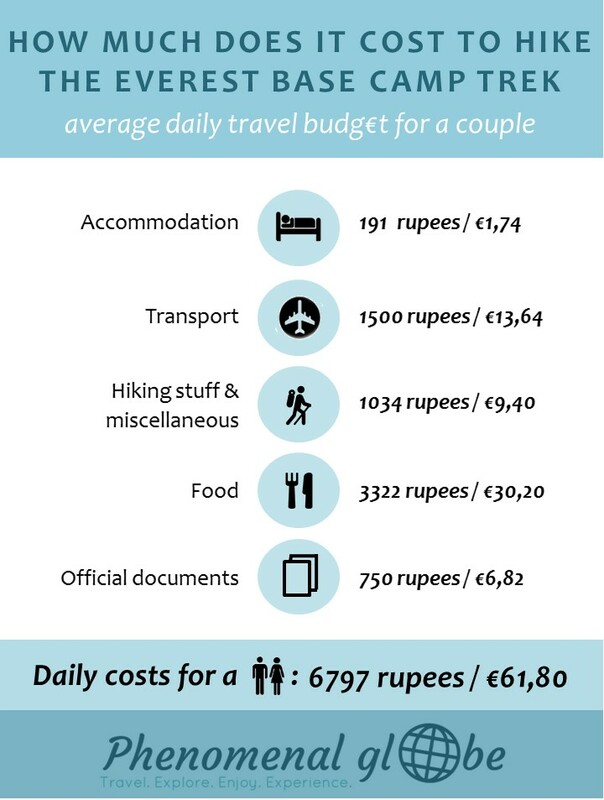 I was surprised to discover our average daily budget on the trek was only 6800 rupees/€62 for us as a couple. That comes down to 3400 rupees/€31 per person per day, not bad for one of the most famous hikes in the world! • I traveled in Nepal with my husband, all expenses mentioned are for the two of us together. • I quote prices in Nepalese Rupees (NPR) as well as €. When we were in Nepal (March/April 2017), €1 was around 110 rupees. $1 was around 100 rupees so I figured including the costs in $ wouldn’t be necessary as it’s too easy to do the calculations yourself?. • I spent almost a full month in Nepal, 29 days to be exact. Of those 29 days, I spend 22 days on the trail from Jiri to EBC, going over the Cho La pass to Gokyo and from Goyko to Lukla where we boarded a scary as #$%^ flight back to Kathmandu. 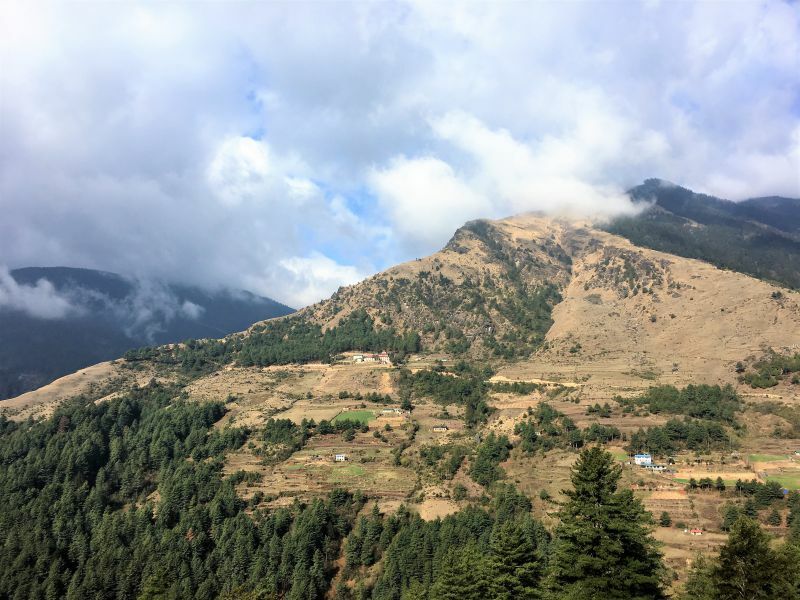 You can read everything about our trekking itinerary and the lodges we stayed at in this post. • I spent the remaining 6 days in Kathmandu, 3 days before and 3 days after hiking the Everest Base Camp trek. 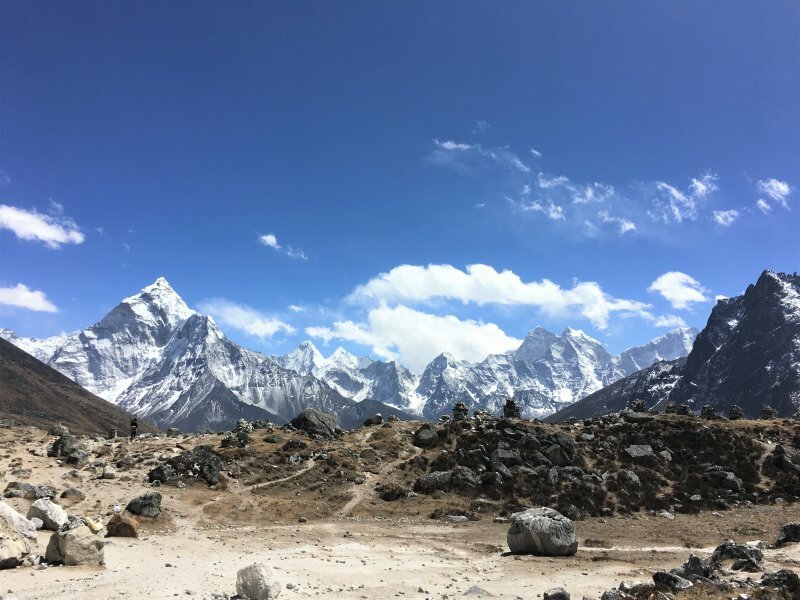 – Part I: Jiri – Everest Base Camp daily travel budget ⇒ 6800 rupees/€62 per day for a couple (3400 rupees/€31 per person). As you can see, spending time in Kathmandu is extremely cheap. But Thamel (the backpacker district of Kathmandu) is dusty, busy and polluted whereas the fresh mountain air in the Himalayas made me feel the healthiest I’ve ever been (though hiking for hours each day may have also contributed to that healthy healthy feeling?). Anyway, I recommend spending most of your time in the mountains! Still, you’ll probably need a couple of days in Thamel to prepare for the trek. Which is why I felt it would be useful to add these costs to this post as well, to give you an idea about the average daily budget for Katmandu. In the infographic you can see our average daily expenses for accommodation, transport, hiking stuff & miscellaneous, food and official documents for the 22 days we spent on the trail from Jiri to EBC. As you can see accommodation costs were very low. That’s because the lodges along the trail don’t make money from the rooms, they make money from the food. Practically all lodges have the requirement that you eat dinner and breakfast there, otherwise there is an extra charge for the room (usually between 2000-3000 rupees). Since you are going to be spending that amount on food anyway, you might as well eat at your accommodation?. Some lodges didn’t even charge us for the room at all, only for the food we ate. Our most ‘expensive’ lodge was in Lobuche, where the lodges have created a nice little cartel and you must pay 500 rupees for lodging at the small booth (at the start of the village). Still, overall our average accommodation costs were only 191 rupees / €1,74 per night for the two of us. Not really the biggest chunk of our expenses. Accommodation along the trail is basic: rooms have two single beds and that’s it. At all the lodges we stayed there were blankets available. 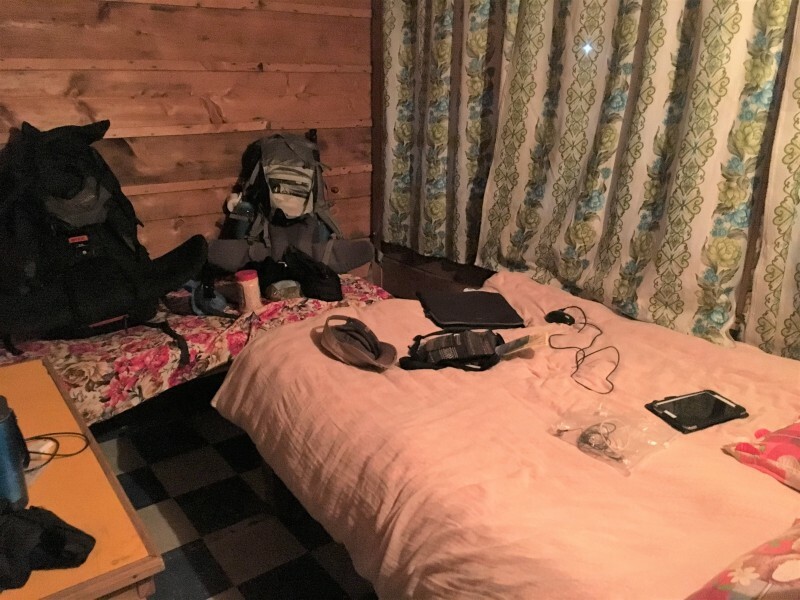 However, I still recommend to bring a sleeping bag as well, it gets very cold at night… There are no electricity sockets in the bedrooms, only in the dining room (you pay for charging your equipment). You may be wondering why the transport costs are so high. After all, while on the EBC trek you are walking the entire day, why any costs in this category at all? Well, virtually all the costs in this category are attributed to our flight from Lukla to Kathmandu. The ticket for this 40-minute (scary as $#*^) flight costs $160 per person. Yep, that’s a pretty expensive flight ($4 per minute to be exact?). And every one of those 4 dollar minutes I was praying we would land safely. Which luckily, we did. Anyway, the residual costs in the transport category are for the 8-hour bus ride from Kathmandu to Jiri. We paid $12 per person but that was via a travel agent. I’m not sure what the price for the ticket is if you go to the bus station to purchase your own. Now, compared to the 40-minute flight this may sound as excellent value for money (only 0,02 per minute) but I wouldn’t go that far?. While not nearly the most uncomfortable bus ride we’ve been on, that honor is still reserved for our infamous RoRo bus ride in the Philippines, it did take 8 long hours to get to Jiri. About halfway we stopped for lunch (dal bath of course) and the views along the way were pretty good! Anyway, I have digressed tremendously. Bottom line: average daily transport costs were 1500 rupees / €13,64 for us as a couple (though there were only 2 days we were actually being transported). Important note: our decision to start our hike from Jiri was not because we thought it would be cheaper than paying for a flight from Kathmandu to Lukla. In fact, the costs for a flight ticket for 2 people are about the same as the costs for 6 days of accommodation, food and transport on the trail. The reason we added 6 extra days to our EBC hike was because we felt we needed the extra training. We had done some hiking in Sri Lanka and Oman, but not nearly every day so we were not well trained. Therefore, it seemed like a smart decision to start hiking at 1995 meters (Jiri), instead of at 2860 meters (Lukla). We did not regret this decision! While the trail from Jiri to Lukla is very strenuous, it’s also a great trail for acclimatization (it goes up and down every single day…). I don’t know if this was the reason we didn’t need Diamox during the entire EBC trek, but it probably didn’t hurt. Anyway, after hiking for 6-8 hours every day from Jiri to Cheplung, the relatively short days (3-5 hour) on the Everest Base Camp trail seemed a lot easier! This is where we spent most of our money during the trek. Food (as well as everything else) got more and more expensive the higher up we got. In Jiri, we paid only 200 rupees each for a breakfast consisting of 2 chapattis, an omelet, a bit of jam, and coffee. In Gorak Shep, a plain chapatti was 400 rupees! Therefore, it’s not surprising we spent 3322 rupees / €30,20 per day on food. Considering we brought our own snacks (snickers, salted peanuts, raisins, cookies) and some oatmeal for breakfast from Kathmandu, I would say this is the bare minimum you’ll spend on food as a couple. 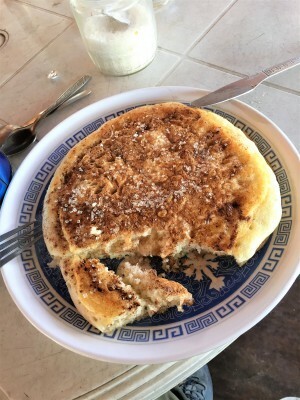 What can you eat on the EBC trek? Well, fried noodles with veggies and egg, momos, pizza, spaghetti, fried rice, spring rolls, soup, muesli, porridge, pancakes, omelets, hash browns and some other carb loaded meals. • Visa ⇒ upon arrival at Kathmandu airport ,we paid $40 per person for a 1-month visa to Nepal. • TIMS Card ⇒when hiking in Nepal you need to obtain a TIMS Card (Trekker Information Management System). You can buy a TIMS Card at the Nepal Tourism Board office in Kathmandu for 2000 rupees / €18 per person. 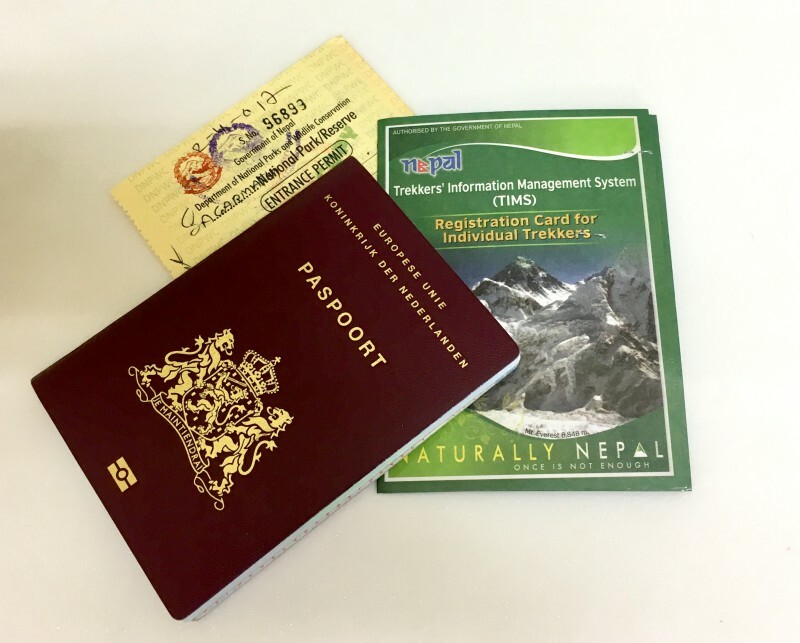 • Sagarmatha National Park Permit ⇒ at the Nepal Tourism Board office you can also buy the Sagarmatha permit, which you need to hike in the Everest region. Costs for the permit are 3400 rupees / €31 per person. Important note: because we started our hike from Jiri, we officially also needed a permit for the Gaurishankar Conservation Area. We did not buy this permit because I had done some research about it online before starting our hike. I learned that three years ago the Gaurishankar Conservation Area was extended specifically to include Shivalaya (with the purpose of extracting more money from trekkers). When I looked up the borders of the conservation area on our map, I found that the EBC trail only skirts around the edge. I wouldn’t have minded to pay a 1-day fee of €5 or something, but we felt paying another 3400 rupees / €31 per person was extortion for 3 hours of hiking around the very edge of the park. In the end, we didn’t buy the permit (much to the displeasure of the official in Shivalaya…). You can find my ‘Essentials for EBC’ packing list in this post. We had to buy a lot of gear in Kathmandu, because we had virtually no warm clothes with us. If you are traveling for a year there is just no room in your backpack for 4-climate clothes. Anyway, we spent some time shopping in Thamel, buying warm clothes, food and toilet paper. Note: if you already have all the necessary hiking gear with you (plus snacks, etc.) you can deduct these costs from the budget breakdown. Some miscellaneous costs we incurred were an NCell SIM card and a couple of showers on the first part of our trek (from Jiri to Cheplung). The hot showers we took on that part of the trail were only 150/200 rupees. In Namche Bazaar, the price for a shower was already 400 rupees and it only increased the further up we went… We didn’t take showers anymore above Namche, not only because of the price, mostly because of the cold. Anyway, altogether the average daily costs in this category came to 1034 rupees / €9,40 for us as a couple. In my packing list post you can read more details about our preparations and which gear to bring along. 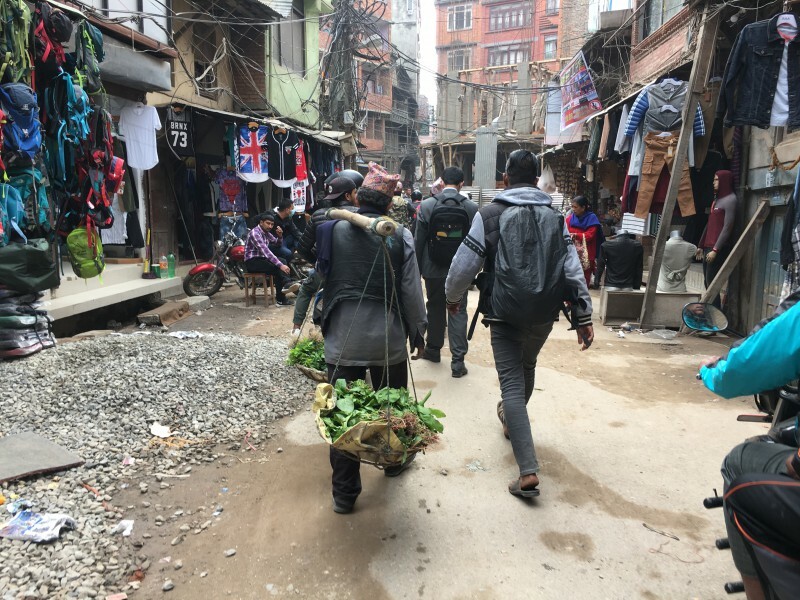 We spent 6 nights in Kathmandu and chances are, you’re going to have to spend some time there too. Before the trek, we needed time to prepare (buy some hiking gear, get a TIMS card, arrange a flight, etc.). After the trek we had some time left before our flight to Malaysia. Flights from Lukla are frequently delayed (sometimes even for days) and you don’t want to cut it too close with your international flight. In the infographic you can see our average daily expenses for accommodation, transport, miscellaneous, food and official documents for the 6 days we spent in Kathmandu. We stayed at hotel Bright Star, which I can highly recommend! The family running the hotel is super friendly and gave us lots of practical advice about hiking the EBC trek. The room is simple but has a comfortable bed, hot shower and a large window. It’s in Thamel, but in a little side street (away from the noise). We paid 1150 rupees / €11 per night. Our only transport costs in Kathmandu were from cabs from and to the airport. The fare from the airport to Thamel is 600 rupees. From Thamel you can get a cab to the airport for 500 rupees, perhaps even less if you are better at bargaining than we are. Average daily expenses: 250 rupees / €2,27. 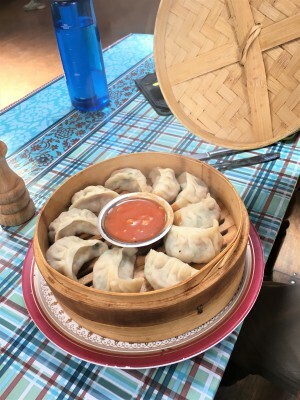 Even though food on the trail is good, after 3 weeks we were craving something else than fried noodles. 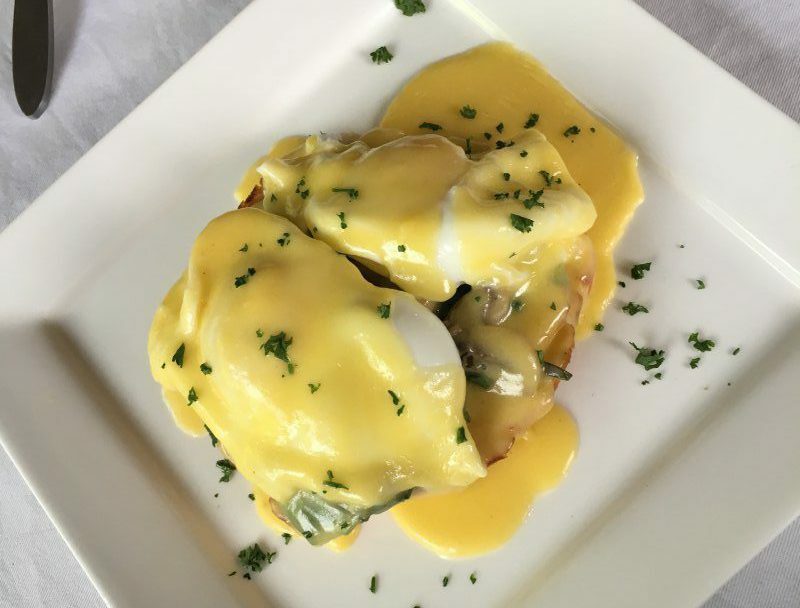 So we ate ramen, falafel and delicious eggs benedict at the Blueberry Kitchen when getting back in Kathmandu. 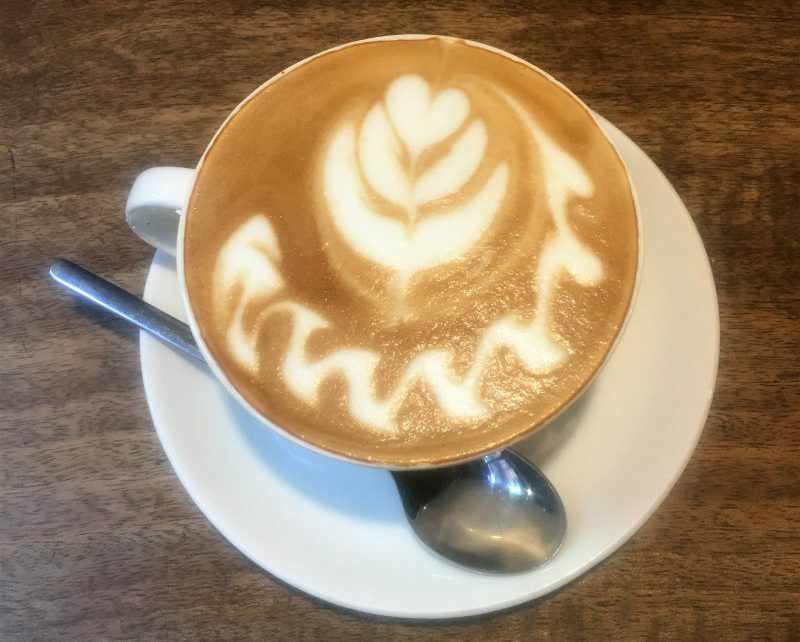 And we drank a lot of coffee at the Himalayan Java Café… Average costs for food: 2441 rupees / €22,19 per day for us as a couple. I attributed the costs for 6 visa days to Kathmandu, hence the average costs of 281 rupees / €2,55 per day. The only miscellaneous costs we had in Kathmandu were laundry costs. I cannot believe we got our laundry back smelling nice and fresh after we handed it in so very dirty and smelly… Laundry is 100 rupees per kilo when you pick it up the next day. Average daily costs in this category: 133 rupees / €1,21. 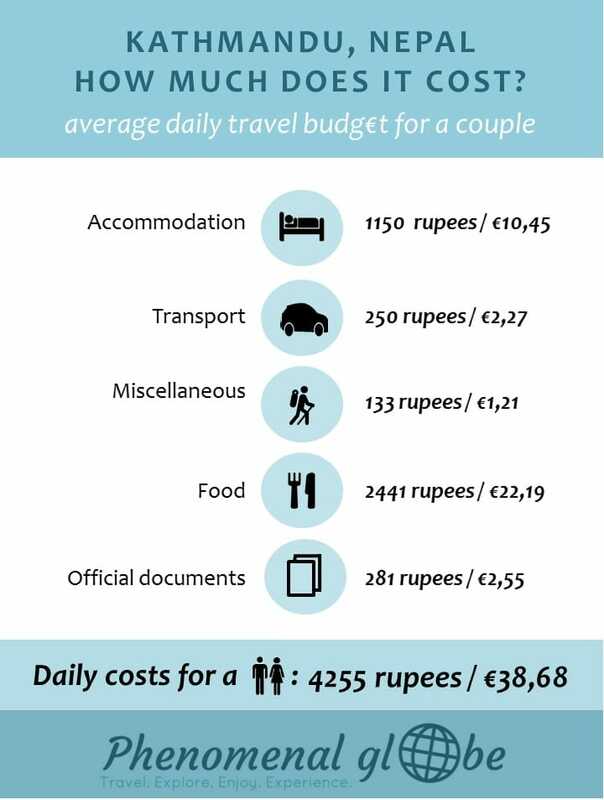 Altogether the average daily costs for us as a couple during our time in Kathmandu were 4255 rupees / €38,68. I know, that was a long post with lots of numbers!I hope my math makes a little sense to you and this post will help you prepare for the EBC trek. If you have any questions, leave a comment or send me an email! I am always happy to help if I can?. Very informative blog! You did not mention booking a guide? Did you find it easy to navigate up to base camp by yourselves? Thank you for reading my blog! No we didn’t have a guide but we had a detailed paper map and a map on our phone and had no problem finding the trail. 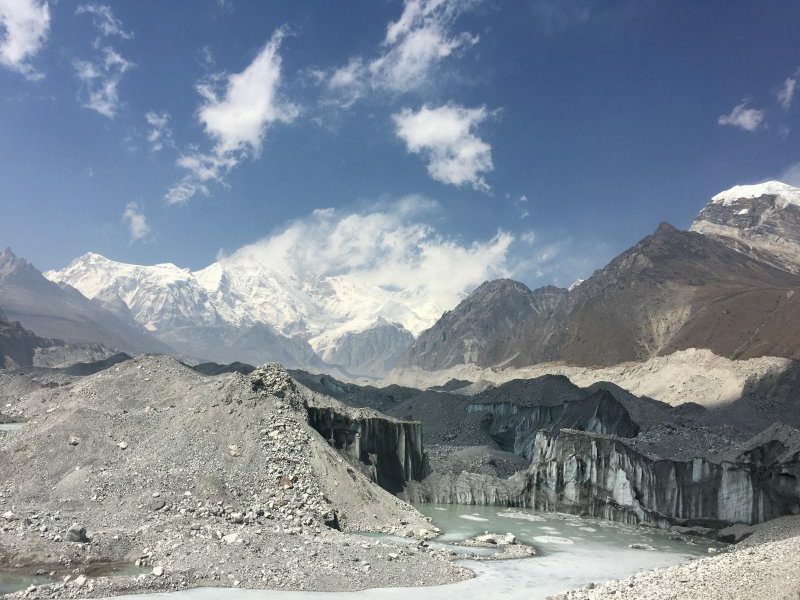 However, you can also decide to hire a guide because they have so much knowledge about the Himalayas and can tell you really interesting things about the mountains. Plus, a guide will usually book a lodge for you. So it’s up to you! Thanks for sharing your costs. About to hit the trail in a couple of weeks and understandably curious to learn about others costs this year. Can you share how you managed to dodge the cost Gaurishankar cost in Shivalaya? Overnight in the lower part of the village and get up early in the morning. Find any track through the row of houses on the left of the village and then follow the river for a few hundred metres. Swing right and head up to the track that follows the base of the mountain, turn right on this track until you get to the start of the way up on the left.. Very informative article – thanks. We are heading out there early November and I was interested in your comments about the power pack you bought. We didn’t know whether to buy one and take with us but wonder now if it might be cheaper to buy out there. Any idea who much it cost? Thank you for reading my post:-). How exciting you’ll be doing the EBC trail next month! Will you start from Jiri or Lukla? Anyway, about your question: we bought our power-bank in Nepal and paid €100 for the power-bank and €100 for the solar panel. I think prices for the brand we have (Goal Zero) are the same online as they were in Nepal… You can probably find cheaper ones in Nepal but we wanted to invest in a very good one because we often go camping and use both the power-bank as well as the solar panel quite often! Hope this helps! Have a great time in Nepal. Very impressive blog with good calculation on spending money.. We r (2people) heading to EBC this may 2018. Our package is Rs.39000/- per person without food. 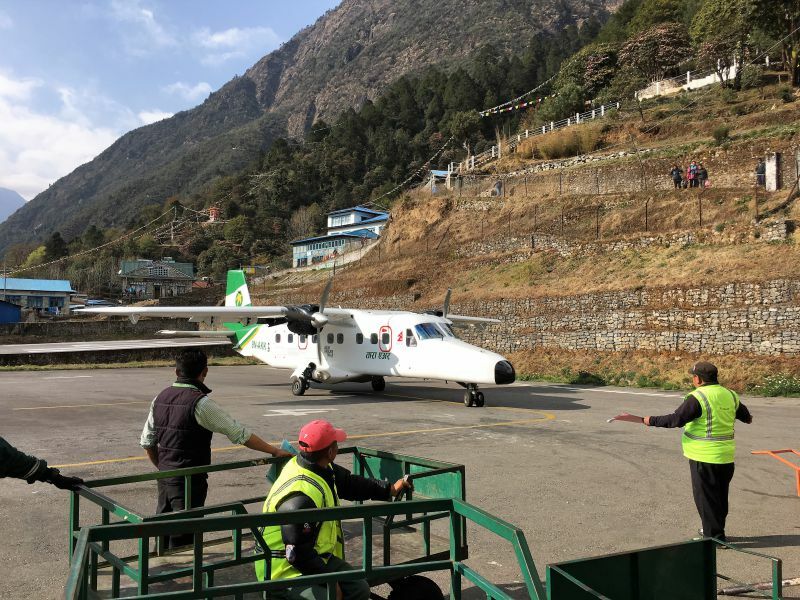 Package starts from Kathmandu to Lukla-Kathmandu flight. A total of 15 days tour. Pls suggest if 15-20k is enough for food for the entire stay? Because the travels agency charges Rs.62,000/ including food. Main question. Can we plan this EBC trek without guide or travel agency?? Thanks, I’m glad to hear you like my blog:-). Based on the math from my post I would say you need at least 50.000k as a couple, so about 25.000 per person. I would bring some extra cash just to be sure, there are no ATM’s up in the mountains (only in Lukla and Namche Bazar). As I mention the post we did the EBC trek without a guide, so yes that’s definitely possible. Have a great time in Nepal! In view of scenic view and atmosphere? We’re planning this may 5th 2018. There are 2 trekking seasons for the EBC, one from February/March until May and one in October&November. Usually the skies are clearer in the fall but we were lucky with the weather during our trek (March/April 2017). May is the month when most climbers try to make their way to the top so it will be busy at the Base Camp. I hope this helps, enjoy the hike! Do u prefer any special or best route (in view of scenic – no matter how hard it is.! 😊) to reach EBC..! 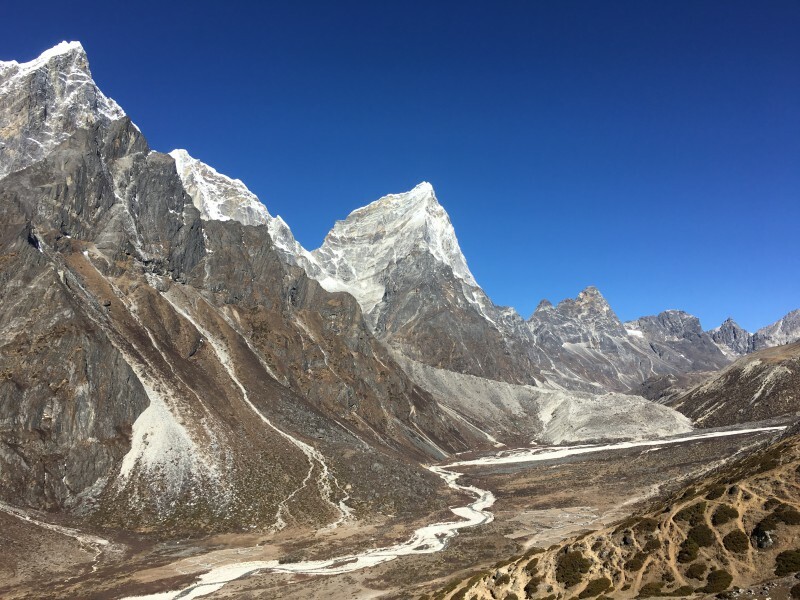 You can find the route we took here: https://www.phenomenalglobe.com/jiri-to-everest-base-camp-hiking-itinerary-accommodation/. If you are up for it you can also do the Three Passes, but that’s not an easy trail. Happy hiking! My boyfriend and I are doing the trek in november this year and this and your itinerary post have been really helpful! I was wondering if you found it hard to organize everything on your own? Also did you book the places in advance or just as you were getting there? Any book I absolutely should read before? Are the permits easy to get? 2. 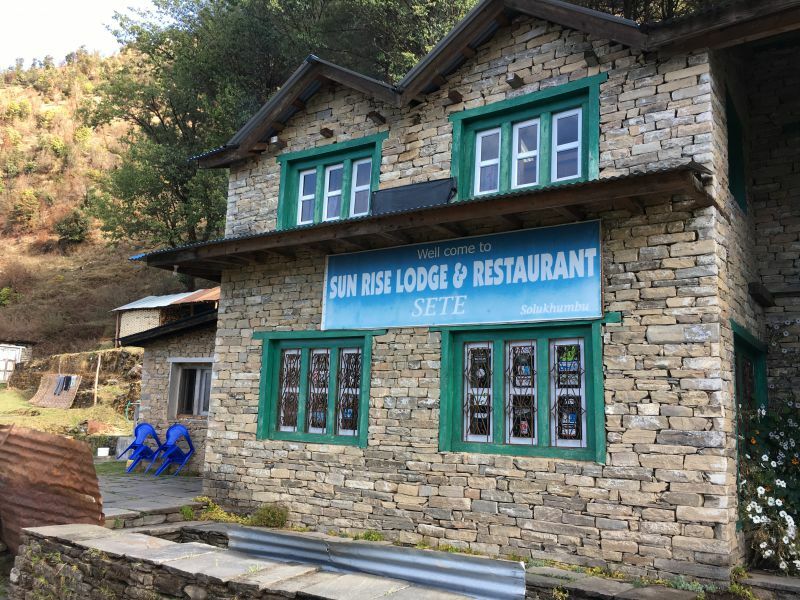 As you can read in my itinerary post (https://www.phenomenalglobe.com/jiri-to-everest-base-camp-hiking-itinerary-accommodation/) we did make a reservation at 2 lodges the day before we arrived because a large influx of people was expected (because of delayed planes to Lukla). But unless something like that happens it’s not necessary to book ahead. 3. A book I should still read but have heard nothing but good things about is ‘Into Thin Air’. 4. Yes, the permits are easy to get in Kathmandu. Just make sure you have cash and your passport with you as you go to the Nepal Tourism Board office. Do you mind sharing your guide’s company name and email address, I’m interested to join their tours. 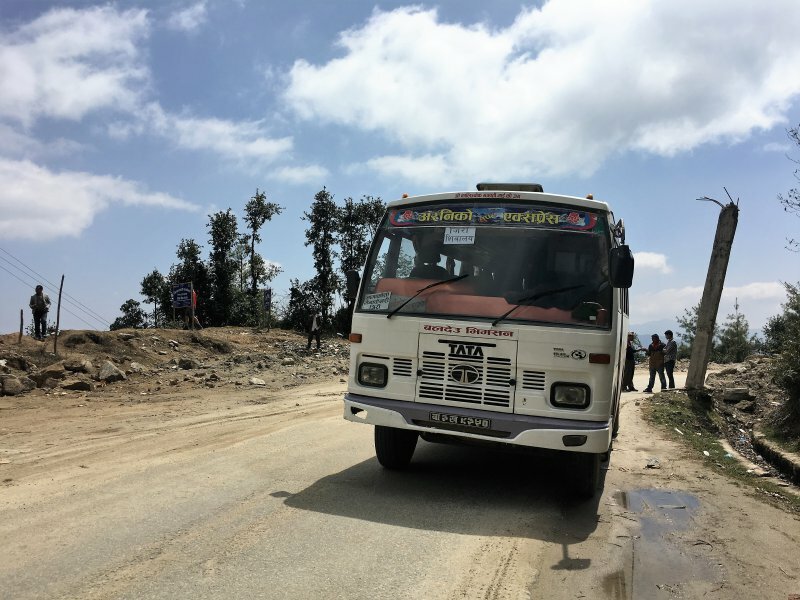 Is it necessary to book the ticket for both bus to Lukla and flight to Kathmandu from Lukla? Or is it possible to buy the ticket on arrival?